According to an ARS Technica posting, Sony announced at the Consumer Electronics Show (CES) the PlayStation Portable (PSP) will finally be getting a keyboard. This is potentially good news for educators since the PSP already has wireless Internet capabilities. Students can now use online applications such as Google Docs to do assignments along with some Internet research. 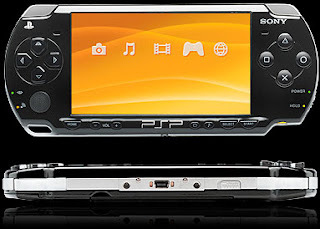 Other features of the PSP include video, audio, RSS support and newer PSP 2 models have video out ports to go along with its gaming function. Sony also said the PSP will also be able to use Skype which allows voice communications over the Internet which would be good to communicate with other classes. Camera and GPS support are also coming and could be useful classroom tools. The only thing the PSP will lack is a book reader which may not happen anytime soon because Sony already markets an electronic book reader. However, the fact that Sony sees the PSP as something other than a gaming and music player is a step in the right direction.